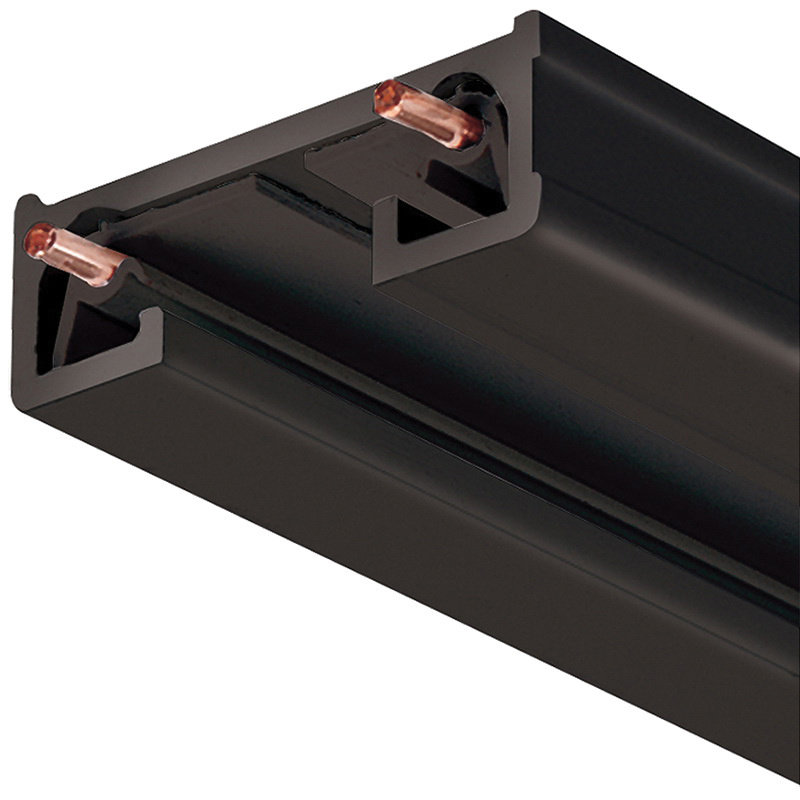 Juno Lighting Trac-Lites™ Collection Reduced profile 1-Circuit track section in black color, features rigid extruded aluminum construction with thermoplastic insulator. Surface/pendant mountable section has a dimension of 1-3/8-Inch x 1/2-Inch. It has two 12-gauge solid copper conductors for reliable operation. The 2-ft long track section is rated 20-Amps at 120-Volts. Rigid extruded aluminum channel is used as a system ground for added safety. The 1-Piece insulator assures consistent conductor spacing thereby providing reliable electrical contact. Track section comes with a dead end and all necessary mounting hardware for easy installation. It is perfect for use in automotive and parking, education, government, healthcare, hospitality, offices, banks, religious, residential, retail, sports and recreation environments. It is designed to works well with all Trac-Lites and TracMaster track fixtures. Track section is UL and cUL listed.